Whirlpool dryer error codes are shown on your dryers display to help you troubleshoot the problem with your dryer. 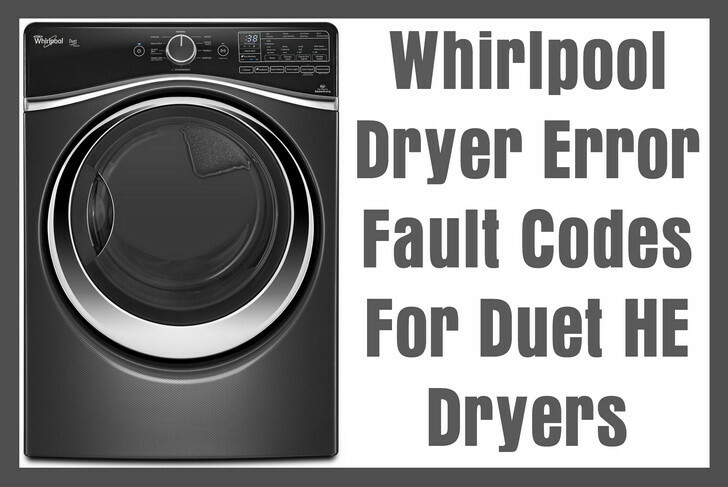 Our error codes below will help you to identify what is wrong with your Whirlpool Duet dryer. Once you have identified the error code, this will tell you which part is causing the issue. You can then check the part in question and clean or replace it if needed. 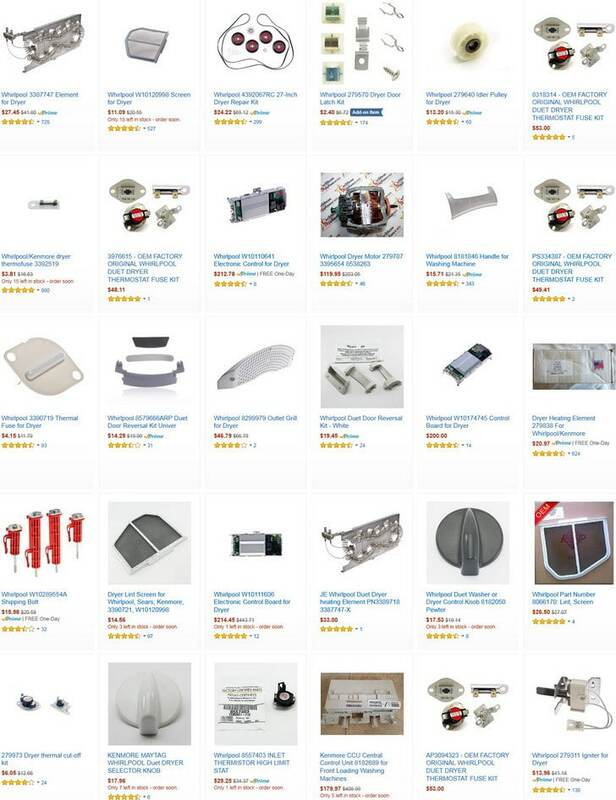 Whirlpool Duet dryer help videos are here if needed. 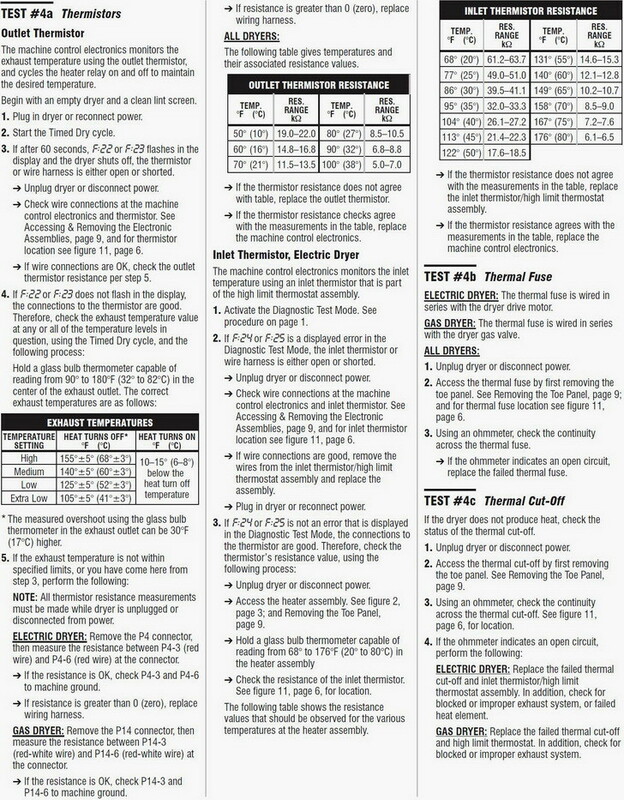 If your Whirlpool Duet Dryer error code is not listed here or you have issues with any Whirlpool Duet Dryer Error Code, please leave a comment below and we will be happy to assist you with your dryer error code problem. If you have a Whirlpool Cabrio Dryer, you can ask error code questions about that model dryer also and we can further assist. Whirlpool clothes dryer model #CFQE5000QW. The dryer will sometimes not start, at times it makes a growling sound and then the next time it runs it is fine and shows no error codes. Whirlpool duet dryer. Getting power. Won’t turn on. I can push + and – and + and -, and that turns it on and dryer turns fine, but only for 2 minutes, during which time F-02, and 99 and sometimes 8 appear on the screen. Have to push the start button every two minutes to dry clothes? Any suggestions? whirlpool duet dryer model wed70hebw0 Will not heat up. How do I get the error code to come up so I know what is wrong with it? I have a whirlpool duet dryer. It is flashing an F10 error code and will not shut off unless door is open. I also smell an odor like burning. Whirlpool Duet – The only part of the code that showed was “7”. The light inside the drum works, but none of the buttons work. Cannot turn on power. Please help!!! Hi I have a Whirlpool Duet Sport electric dryer. I am getting a error message of E68. Also when the error code is displayed the dryer beeps the lights for the drying, cool down, wrinkle rid, and clean lint filter flash 6 times then the start light flashes twice. I called Whirlpool and they don’t know what this code is for. I am hoping you can help. I have a Whirlpool Duet steam MOD# WED97HEXW4 the display is out but it flashes every 20 seconds. Light is on in the dryer with the door open, on power to the control. I am getting code s99 what is that? Whirlpool duet steam dryer fault code P:3E. It turns on and everything works it just doesn’t heat up. Whirlpool Duet Electric dryer. A couple of months ago, while running, it will give single beeps about 3 seconds apart. The only way to get it to stop the beeping is to open the door, the. Restart it. It doesn’t happen on every load. The codes that come up when I request them are P:3E and H:99. Hate to call in the repairman as other than the annoying beeping, it seems to work fine. I have a Maytag bravos 400 series made by Whirlpool. I have an F 64 error code. Can’t find anything online. Maytag has no idea over the phone. Any help?